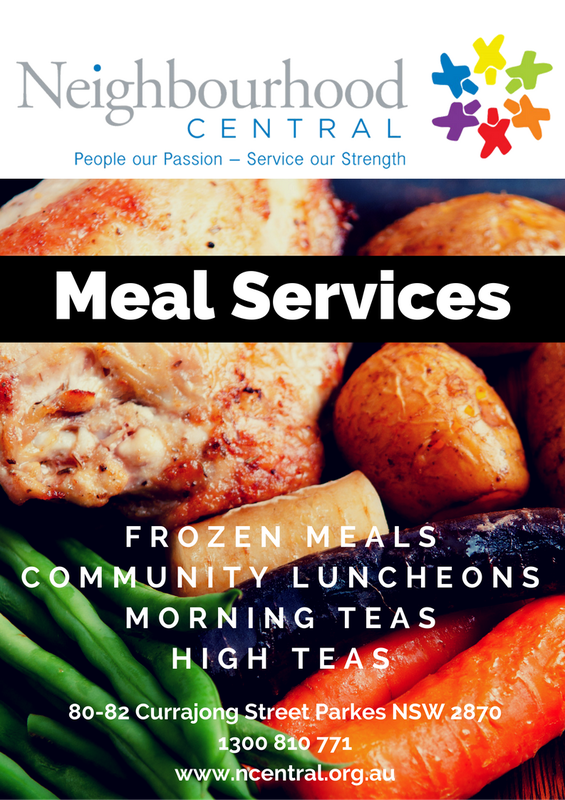 Neighbourhood Central Meal Services are here to make a difference in people's lives by providing a variety of food services to manage your health and well-being. Looking for a fast, affordable nutritious meal? Take a look at our mouth-watering list of frozen meal options. Easy ordering and pick up, or free home delivery is available. delicious home-cooked meals and sweet treats. Call in and see our friendly staff at Neighbourhood Central. Eligible clients of the Commonwealth Home Support Programme are also provided with subsidised meals when participating Neighbourhood Central’s activities. For more information please contact Neighbourhood Central 6862 3757 or click on the link below to access the brochure.